New Fairisle Sock features a colourful cuff design Made from a soft Merino wool blend providing luxurious comfort. 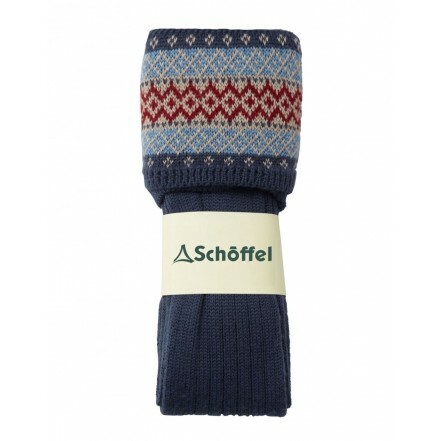 Available in colours designed to compliment the women&apos;s Schöffel clothing range. • On trend fairisle design on cuff. • Made from a Merino/Acrylic/Lycra. • Nylon reinforced heel and toe. • Available in colours designed to compliment the Women&apos;s SchÃ¶ffel clothing range.